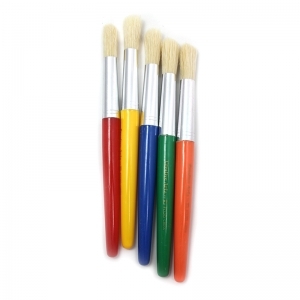 Three different kinds of paintbrushes for all your paint project needs! 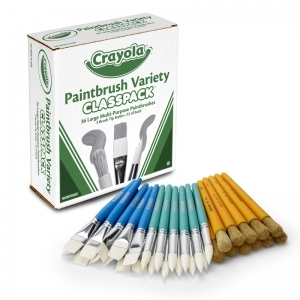 The Crayola Paintbrush Variety Classpack contains Jumbo Brushes, Large Flat Brushes and Large Round Brushes. 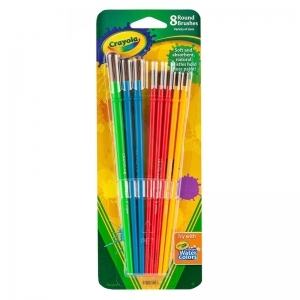 There are 12 of each kind, 36 in all, enough for the whole class! 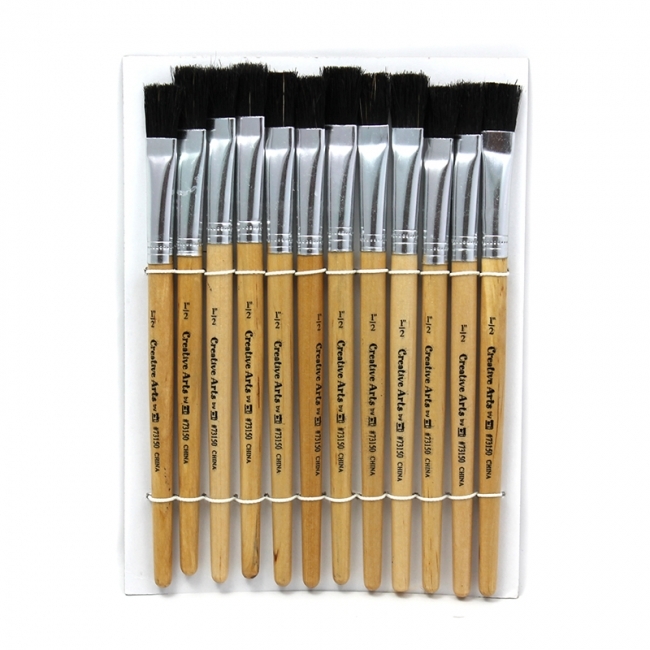 This set of 5 paintbrushes is all you need to paint a variety of strokes. 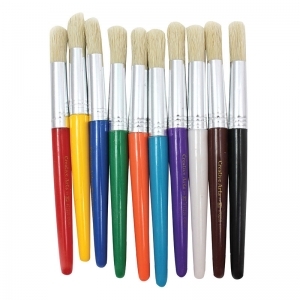 From wide brush strokes to small detail work, these brushes with color-coded handles have you covered. 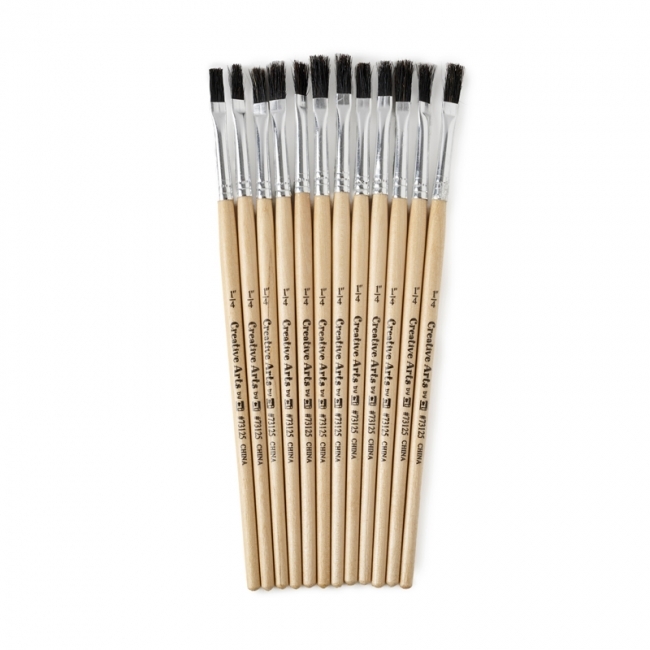 The quality soft-tip bristles on these brushes clean easily, so they'll last a long time. 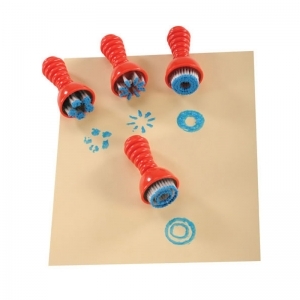 Use them over and over again and they will still feel as good as new. 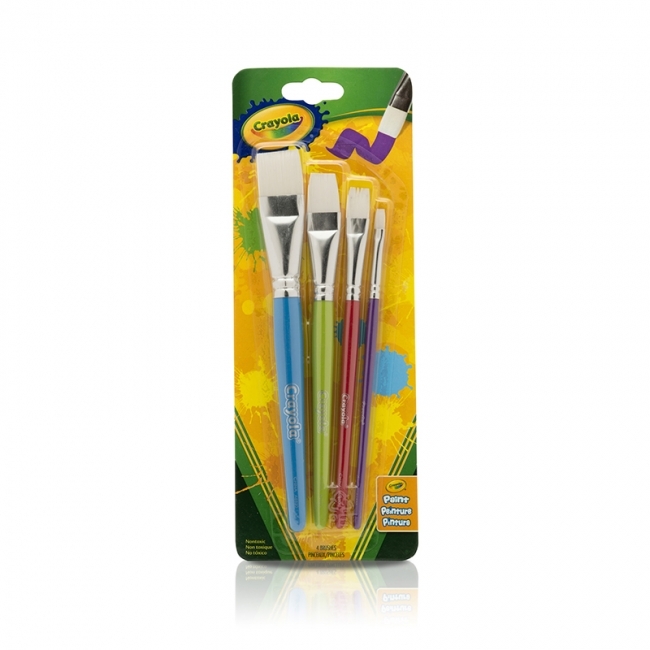 Small in size, these brushes are perfect for your child's art kit or pencil-box. 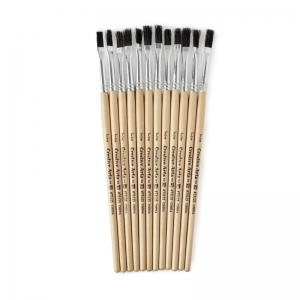 Never be caught without your brushes again. 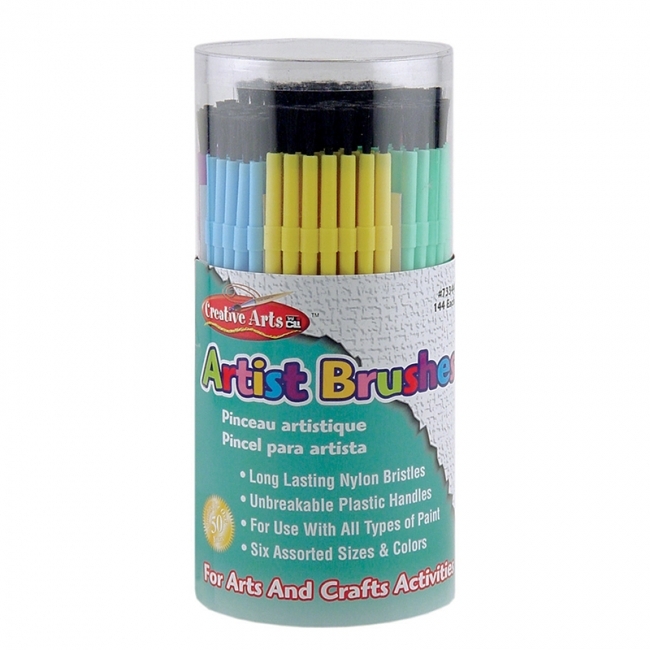 Includes 5 Crayola Arts and Craft Brushes with various brush shapes. 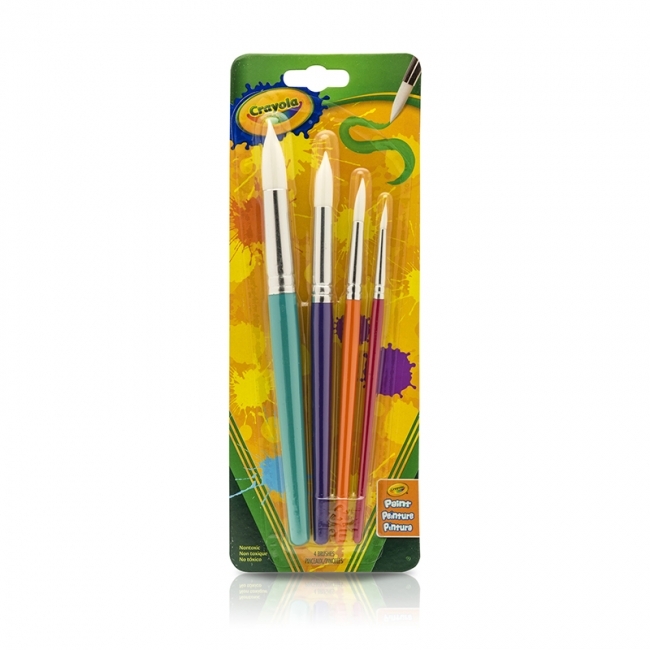 Keep the paint flowing and your child's creativity growing with this versatile set of paintbrushes. The Crayola Arts & Crafts Brushes set includes 8 high-quality paint brushes made of 100% natural hair, in assorted sizes. 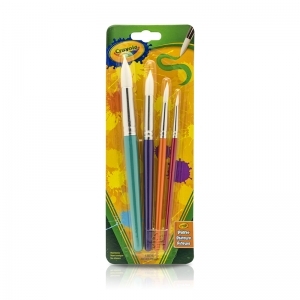 These brushes make a great addition to any child's paint set. Four round, all-purpose arts and crafts paintbrushes for a variety of broad stokes and fine details. The brushes feature brushed silver ferrules and wooden handles that are a good fit for kid-size hands. Each handle has its own vibrant color. Features white Taklon bristles to show paint's true color. 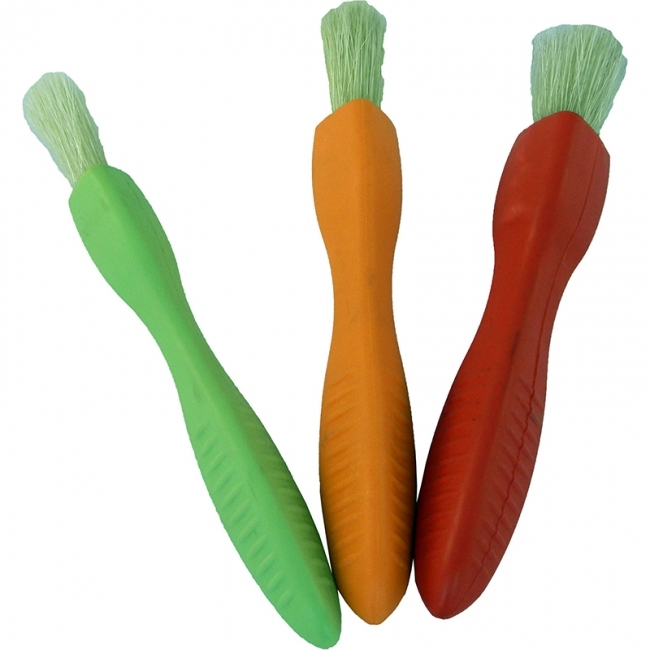 Soft and shed-resistant for smooth strokes. 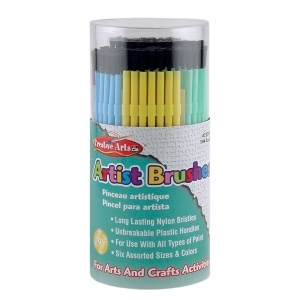 Pack includes 4 brushes. 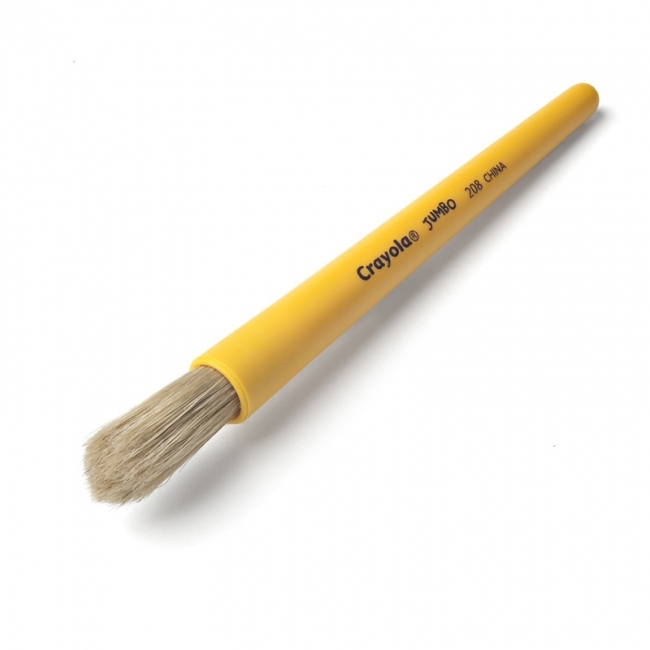 The Crayola Jumbo Brush features a plastic handle, and is ideal for painting large areas or making broad strokes with its natural bristles. 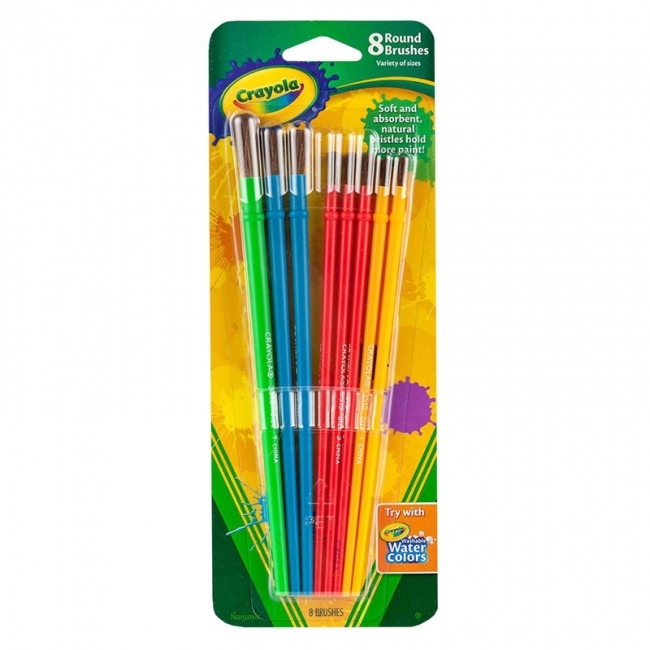 Crayola art supplies and activities help children express, create, and connect through colorful play. 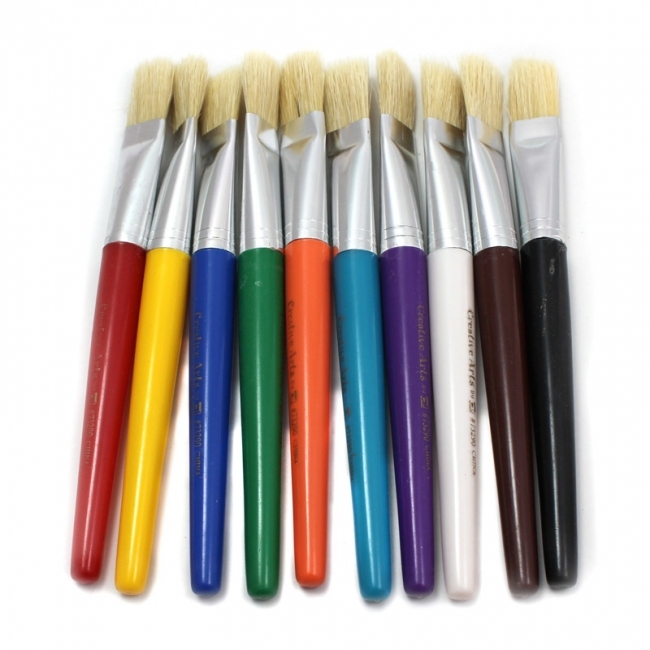 This brush style is easy for young artists to handle and hold, and works with a variety of paint. 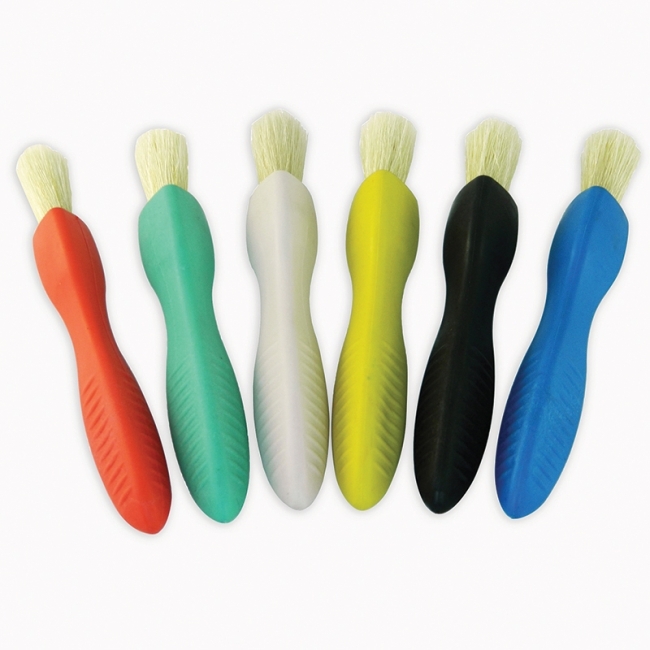 Includes 1 jumbo brush. 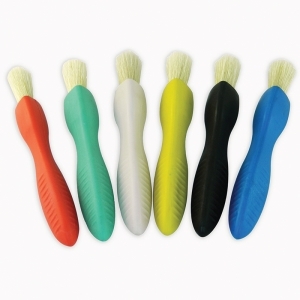 These large brushes come in 6 different colors: red, green, white, yellow, black & blue. Each one has a rubber handle that conforms to a child's fingers for easy holding. 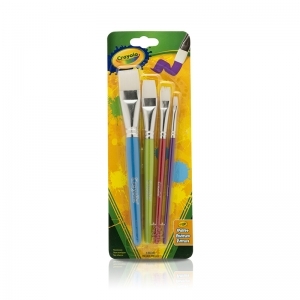 They can paint as easily as holding a pencil in their hands. 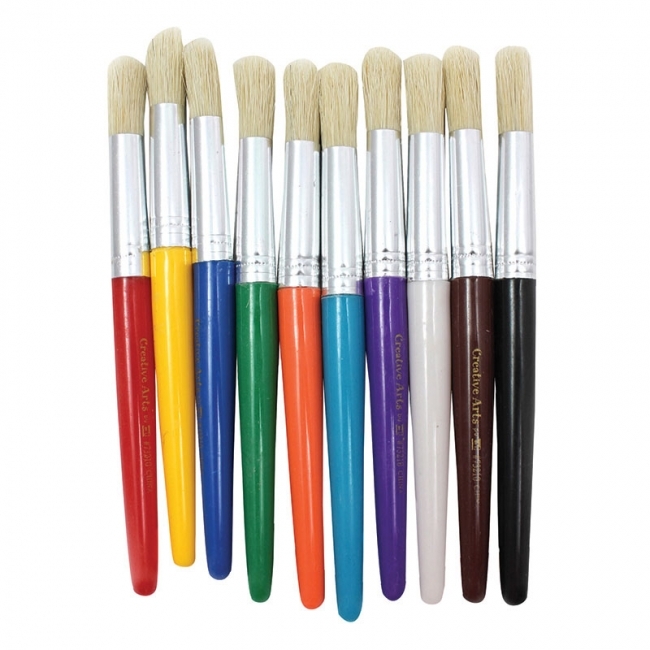 They are also flexible and not as rigid as most brushes can be. Imagine all the pictures your child can paint and proudly display on your refrigerator or corkboard! Perfect for special needs children. 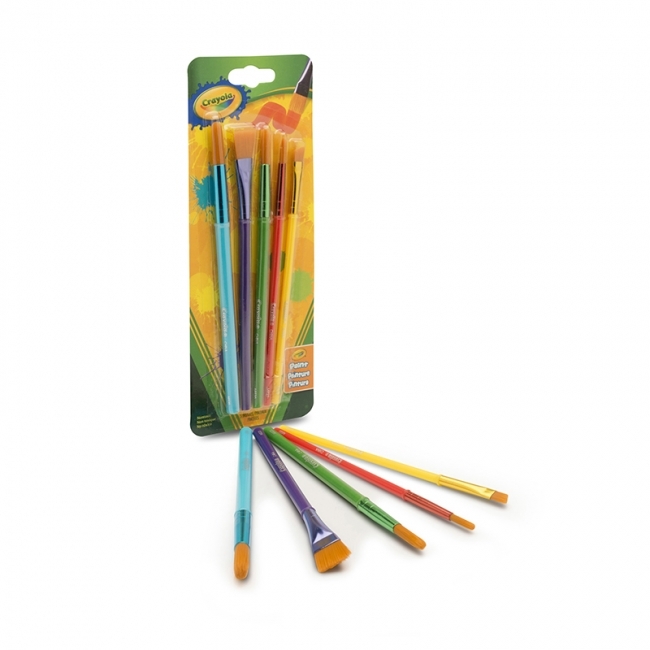 These brushes will allow your child to become more competent in their motor skills and boost their confidence as you praise the artwork they will create! 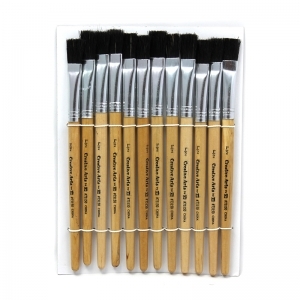 Includes 6 brushes per set.